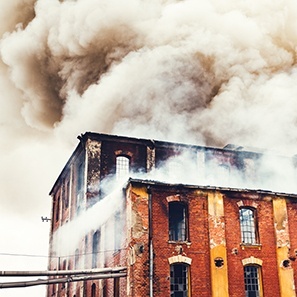 Our lawyers practice throughout the United States and routinely investigate and litigate large losses, including warehouse fires, manufacturing plant fires, apartment and condominium complex fires, lumber mill fires and residential house fires. We also regularly handle losses involving building collapses, construction defects, equipment failures, flooding, water main breaks, gas leaks, windstorms, fire suppression failures and plumbing system failures. Our lawyers have extensive experience working with insurers, third-party administrators, self-insureds and a nationwide network of highly-qualified investigators and forensic consultants. We quickly and efficiently develop liability theories and evaluate potential recovery impediments, allowing our clients to make educated and cost-effective decisions related to the pursuit of responsible third parties. White and Williams is a recognized leader in the subrogation industry and our lawyers are active members of the National Association of Subrogation Professionals, where they frequently lecture at the organization’s conferences and publish in Subrogator magazine. Our lawyers are also active in other insurance-related groups, including PLRB, CLM, and the Loss Executives Association. As leaders in the subrogation industry, our lawyers have unique insights into all aspects of subrogation and have made significant recoveries for our clients on matters that other subrogation firms closed or rejected. Our large loss property subrogation clients have the added advantage of access, where needed, to over 200 other lawyers in the firm that specialize in environmental law, bankruptcy law, cyber law and class action litigation. These lawyers become part of the litigation team when a loss requires specialized expertise in one of those fields.